After the death of Elizabeth Taylor in March this year, it was only a matter of time before Hollywood turned its attention to one of the greatest love stories of the 20th century and one of its own. 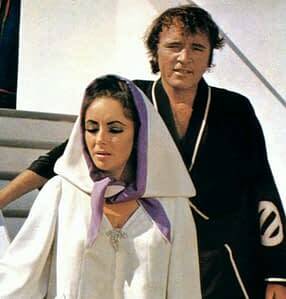 The love affair of twice-married Liz Taylor and Richard Burton was iconic but, ever the movie star, Taylor proclaimed on Twitter that “No one is going to play Elizabeth Taylor, but Elizabeth Taylor herself… Not at least until I’m dead, and at the moment I’m having too much fun being alive”. With the path now sadly clear, Deadline has revealed that Martin Scorsese has been given the job of recreating the Taylor and Burton romance for the cinema. Paramount Pictures and Scorsese have optioned Furious Love, a book by Sam Kashner and Nancy Schoenberger, beating off the considerable competition of Oscar winners Natalie Portman and The King’s Speech screenplay writer David Seidler. Producers Julie Yorn, Gary Foster, Russ Krasnoff and Scorsese have also signed a rights deal with Sally Hay Burton, Richard Burton’s widow, which will grant them access to the actor’s library. Elizabeth’s point of view will come from the love letters which she allowed the authors to publish in the book. Martin Scorsese has an interest in the golden years, and figures, of Hollywood – one remembers Aviator and its depiction of Howard Hughes and Katharine Hepburn. Currently, however, Scorsese is involved in the preproduction of Silence, a film about two 17th-century Jesuit priests in Japan, which will star Daniel Day Lewis and Benicio De Toro. Scorsese’s next films in the theatres are Hugo Cabret starring Johnny Depp and Jude Law and a documentary of the life of George Harrison. As yet, Furious Love does not have a screenwriter and there isn’t a hint of who would play the starcrossed lovers.